Music video technology has come a long way since the Buggles’ “Video Killed The Radio Star” in 1979. It’s no longer enough to just stick a boy band in one of those Inception-style rotating hallways, or have the lead singer dramatically mouth the lyrics while people act out something vaguely related to the song in front of him. These days, you’ve gotta do something clever or weird if you want to get noticed. 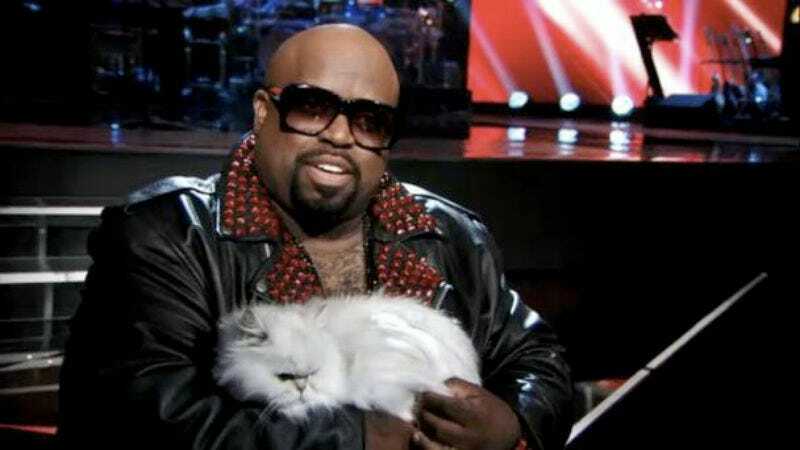 At least that’s the approach CeeLo Green is taking for his new single, “Robin Williams.” The video is a big interactive affair that is all based on Google search results—which is clever—and it has absolutely nothing to do with the song—which is weird. If those are the metrics we’re judging this on, it’s definitely a success, but it also happens to be a cool video on its own. As for the song, it’s a tribute to dearly departed icons like—obviously—Robin Williams, and it has absolutely nothing to do with Google. You can see the video for “Robin Williams” at CeeLo Green’s website, or you could just watch it below.